The word Offshore VPN Service refers to such a Virtual Private Network service that is physically located and operated from outside of the territory of any country that generally spies on people living in that country through data retention laws and regulations. But in today’s world, any VPN Service that is physically located and operated from such a country that has no data retention law applicable to VPN service and that is away from the territory of “Five Eyes” is being referred as Offshore VPN. The “Five Eyes” is an intelligence alliance between USA, UK, Canada, Australia, and New Zealand and these countries are continuously spying on their citizens as well as on the rest of the world through data retention laws. Any VPN service located in these countries is bound to follow the data retention laws, thus will keep a record of every activity you do on the internet which many times breaks people’s right of privacy to a great extent. To avoid this unfortunate environment, you can choose best offshore VPN provider to keep your privacy reasonably secure from those five eyes. 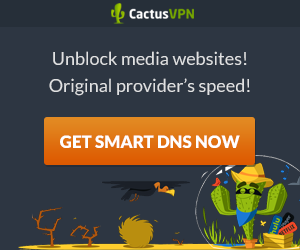 Note: All visitors of this website who would like to purchase any VPN Service from the above list Best Offshore VPN Services should follow the codes of humanity & rights and completely avoid all forms of criminal or offensive activities which might harm any human being or destroy human rights of any kind. For example: none should use these VPNs for implementing any kind of terrorist activity, hacking others properties or copyright things, theft, robbery etc. If anyone is directly or indirectly involved in such activities by using the VPN-services from the above list Best Offshore VPN services, s/he will be liable for her/his offense/crime.